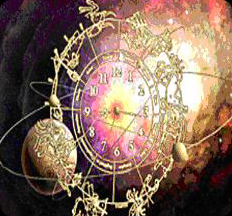 Indian Astrology,astrological remedies as tantra. Tantra is the derivation from two words namely "tatva" and "mantra" where the former involves the science of cosmic principles and mantra means the science of spiritual sound vibrations. Thus this branch of astrology is the implementation of cosmic sciences with a view to attain mystic dominance. Tantra can also be described as the magical or mystical text dated from 7th century or earlier which distributes the light of knowledge. The idea of travelling abroad has not come recently but it has sinked in people since ages. Most of us prefer to lead a life of independence and for which a foreign country is the best idea for there are no restrictions or limitations imposed. The liberty to live free, the luxurious lifestyle and the open mindset of people living in most of the other countries have a great earnest request. Lord Shiva and Shakthi are the two main deities which are worshipped for tantric related problems.The strongest facets of Vedic insight tradition evolved as an esoteric system of knowledge are in the Tantras.We are all aware that astrology is more than science an art form which helps in thoroughly understanding ourselves where it reaches inside a receptacle and search for physical expressions of our consciousness as well. In this branch of science the mechanics of the movement patterns and designs of the celestial bodies and especially the composition and contents of the Cosmos, with its inhabitants and environments are studied. Remedies in astrology can be best obtained just like in any other science say Ayurveda or Chinese medicine where the unique biological makeup and tendencies based on our astrological chart is studied and considered.The outcome of our physical expression which is mainly the result of our thoughts and beliefs about ourselves and the world, so too it makes perfect, logical sense that any system that has extensively mapped our mind and spirit would also have wisdom to offer in the area of our health as well. 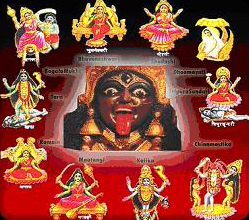 Thus tantra mainly speaks about the energy and its studies states that if the energy in a person's birth chart is positive then it will nullify or at least to a greater extent reduces the problems caused by the malefic planets, whereas when the energy is negative it may even result in good planet to end giving bad results. The energy lacks in its movement is in the home. If this is the case then at such times the energy is made to vibrate and further to gain momentum and speed with the help of tantra. The equilibrium of the mind, brain, and body is formed with the help of tantra and once this attains the status of stability automatically the energy in an individual rises and resulting in giving an up in life. Right from ancient days most of the sages and saints express that at any given point in life a person should not lose the balance of mind, brain, and body because when we lose the stability it will lead us to bad situations. The tantric procedure defines a person's personality which includes the air, the 5 elements which makes the flesh and bones in our body and is run by the energy which links us to the universe. Thus the correlation of the energy in accordance with the air and 5 elements is tantra.Blood and an individual's thought process plays a major role to run our body. The static energy in a house is made to move by the air, five elements, energy, blood and thoughts which in turn bridge the body with the energy from the Almighty. Anyone who gets prominent from gaining some kind of energy, or if the person has some remarkable abilities from birth,or someone is working towards being incredible in any form, then it can be said that the person is making use of tantra in his life which need not to be worried about. A person can work towards getting in touch with the air with the aid of a Guru and at such conditions they may require other things like sindoor/vermilion, wheat, lemon, fruits, and clothes to get connected to the Supreme Being. The aids representing the five elements are required only by those people who are not able to connect themselves to the supreme power in spite of the guidance given by their Guru. It is easy for an individual to get himself connected to the superpower when they are aware of the technique, understanding, mantra, or have practiced their connection with the superpower. 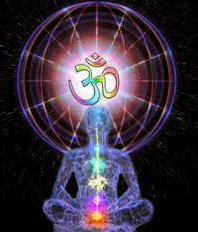 The energy is ignited by the mantras, regular chanting of the mantras and aids. When all these work together it slowly sets off to the mooladhar chakra and they start getting infinite energy with which the person can complete his/her stalled work or connect to God. The esoteric science of tantric astrology designed by ancient Indian mystics is practiced by very few masters in our country. The tantric astrology mainly deals with of how to win the positive energy from the planets which are just not mere matter floating in the space but it is essential to identify the way in which the planets are going to affect our life. When the planets are positioned well in our birth chart then they are termed as good planet whereas when it is placed in the wrong place they are the bad planets. The good planets will help us to aspire in all the endeavors we do. But when planet is in the wrong place it is sure to bring unfavorable problems in an individual's life. The planets are extremely powerful astral energies that affect the tenuous energy and transcendental field surrounding and inter-penetrating our physical body. When we look deep into the tantric astrology studies there are two major factors which can be counted for most of the problems created in a person's life– one is planetary influences and the other is the departed ancestor's influences. for our names are not named accidently but it is already decided. Regular chanting of this mantra would energize your body with positive energy and turn your auric field into negative energy so that your auric field will work as a shield of your body to attract positive things and repel negative things in your daily life. This will definitely lead to a very prosperous life. Tantra is mostly established on scientific reasons and is a gift from Lord Shiva. The steps to be followed in Tantra are split into aagam, yaamal, and daamar and there are a total of about 192 procedures in Tantra. The science of tantra is mostly followed in India, Nepal and Bhutan. The underlying supports of tantra are Sanved and Atharved which are the ways of the execution of the scientific procedures to pace up our energies to attain moksha. - It is a nice feeling to be liked by everyone and for this the remedy in tantra is to apply tilak made of a "gorochan" and "musta" root and chant "namaha shivay" everyday. Never be egoistic which is sure to increase a person's confidence level and reputation. - To build a strong relationship between husband and wife the remedy suggested by tantric science is to take the essence of "tulsi" leaves and sahdeyi and apply it as a tilak on the forehead especially on Sundays. - If there is any fighting or small misunderstanding coming up between husband and wife then tantras suggests keeping white "ghughchi" and "almonds" next to the pillow while sleeping. - When there is a problem in the work place or in the business then it is good to place the Shri Yantra in the North corner of the respective place on a Friday especially in the "amrit siddh yog" or "siddh yog" and keep worshipping it regularly which is sure to improve your business. - It is not safe to leave a person's hair or nails in an unknown place. - Doing Gayathri yag on every Sundays is a good remedy. - Never leave clutters at home. Keep things organized. - Ishaan corner of the house should always be kept clean and should avoid having tall trees in that corner. - Never have leaking water spots or cracks in the wall. Try to fix the problem immediately. - If we feel negative vibration in a place it is suggested to chant the mantra "om kham brahm" for 21 times. - It is recommended to burn akhan jyoti in front of Hanuman picture either with mustard oil or Jasmine oil for 5 continuous Tuesdays say the Jyothi is started on a Tuesday it should go on for the rest of the days till the fifth Tuesday falls in place. - There should be at least five tulsi plants in the surrounding for positive vibrations. - The leaves from the Ashoka tree are taken and put it into a bucket of water in the night and then use to same the next to have your shower. - Mental energy of a person in increased in its momentum when a silver ring is worn in the small finger or a copper ring in the Sun finger. - When there is no peace at home because of continuous quarreling then "dakshin-varti" conch is taken and 5 cowries are put into it. Place this conch in a standing position into a bowl which is filled with rice and keep it in the place of worship at home. - The lake moss acts as a very good remedy for completion of any business related work if old lake's moss is taken and put into a flower pot.